If your or someone you know is dealing with the threat of foreclosure, or is currently in the midst of a debt-related financial predicament, this information could help them address the issue and avoid a foreclosure situation. Homeowners who are struggling to make their monthly payments may qualify for special programs, including government-backed initiatives such as the HARP plan. In some situations, and especially if you have received a notice of default or pending suit, you may have only about 90 days to address the problem before foreclosure proceedings begin. This e-book, written by Elin Bullmann, addresses much of what you will need to know to avoid or head off a foreclosure situation. 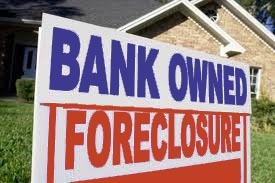 For more information, visit surviveyourforeclosure.com.